This year the winner of the Vanguard Prize is BA (Hons) Drawing graduate Queenie Clarke. The Vanguard Prize allows Vanguard Court to support an up and coming artist to develop their creative practice in the early stages of their career. The winner is offered a year’s free studio residence at Vanguard Court, along with ongoing mentoring and support from Camberwell College of Arts. The prize, launched in 2010, is for recent graduates of Camberwell College of Arts and those currently graduating. Queenie is pictured above with Camberwell’s Dean Nick Gorse and a representative of the Vanguard Prize. 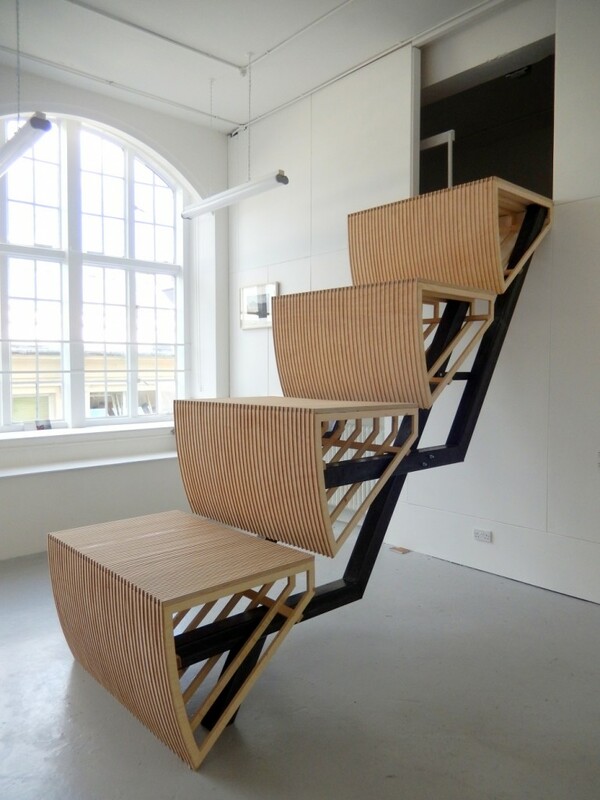 The 2014 winner of the Vanguard Prize, BA (Hons) Sculpture graduate Alexander Devereux has been working from the studios producing large scale architectural installations and sculptures, he’s also been nominated for the Broomhill National Sculpture Prize . Alexander will have a solo show in the new Camberwell Project Space later this year.